Note: There are scholars, especially in the West, who prefer not to consider the existence of an African Civilisation. Our point of view is quite the opposite: we believe that there is indeed one or more African civilisations or sub-civilisations, a point of view shared by almost all the African historians. 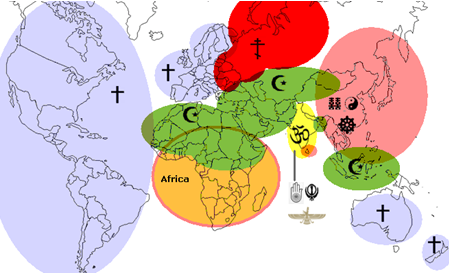 Also, we must never forget that Africa is the cradle of humanity and from Africa, Homo Sapiens colonised the world. We want to be part of this African renaissance and collaborate to explain to the world the fundamental role that Africa has, have and will have in the history of humanity. Thus, within this subject on African Civilisation, a series of topics have been developed in the history of Africa, African historians, slave trade, African Diaspora... That allows understanding better the African reality. Syllabus of the Program: Introduction to African Civilisation. Syllabus of the Program: The Leading role of Africa in the history. 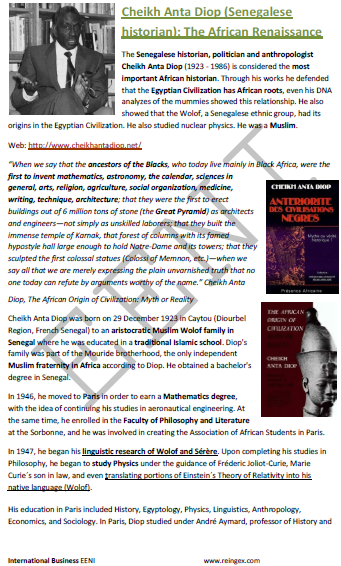 Syllabus of the Program: African Civilisation and Ancient Egypt (Sheikh Anta Diop). 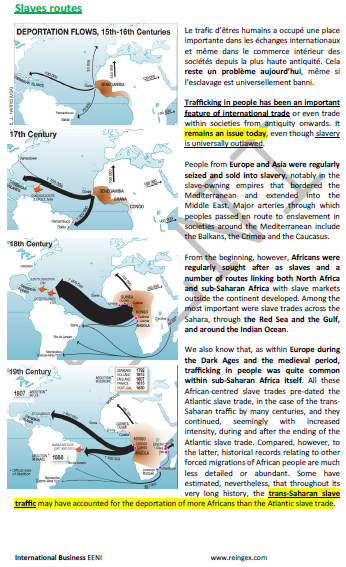 The transatlantic slave trade (men, women, and children): a crime against humanity. 5. Abolitionist movements. 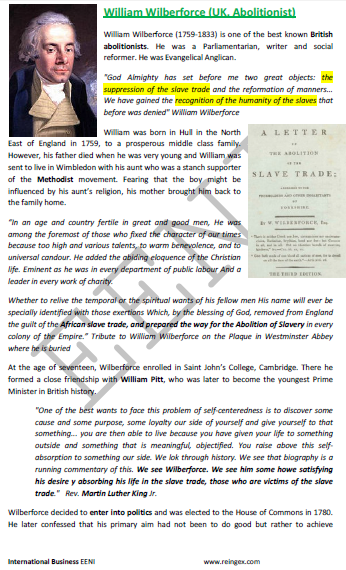 Abolition of slavery. 6- Post-slavery societies in America. Syllabus of the Program: Decolonisation and independence of African Countries. Africa after 1935. 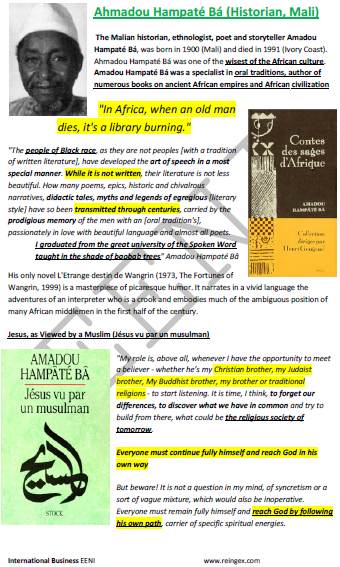 Syllabus of the Program: African historians. 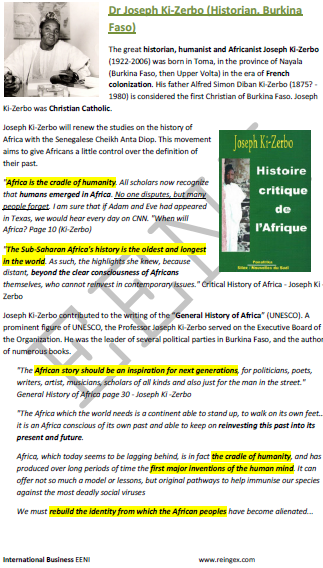 “Africa, the cradle of humanity has a history and gave birth to history” PhD Joseph Ki-Zerbo. Djibril Tamsir Niane (historian, Guinea-Conakry). Syllabus of the Program: African Geography. Syllabus of the Program: African ethnic groups. Syllabus of the Program: Human Development in Africa. Syllabus of the Program: Trends of the African population. “The future of humanity will be African” (UNICEF). In 35 years, 25% of the world's population will be African. Syllabus of the Program: African Diaspora in the Americas.